As a fan of WorstPizza.com and a friend of its founder I have seen Lapp review quite few slices of pizza, so while I was away in Bostons’ North End or Little Italy, I figured I would add my first review. After trying to get into Giacamos and failing (at least 30 people were waiting in the rain to get in) I took a walk to another local favorite and 2006, 2007 and 2008 AOL best of boston restaurants Antico Forno at 93 Salem Street to see if it lived up to the review. The restaurant first of all is small and tight so hopefully you like the people next to you because they are practically at your table and the others just keep bumping into your chair as they walk by as you eat. The staff is efficient but I wouldn’t say friendly either. It is off the main drag of Hanover Street a few blocks from Mikes Pastry (the best Cannolis in the World) and Paul Reveres House. 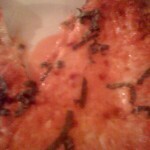 Once at the 18 table eatery I decided to try the Margharita Pizza. 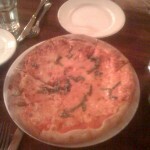 The Pizza at Dinner is $11.50 and is well to be frank - quite small 8” at best fitting on a standard dinner plate. When the pizza arrived it looked a bit wet as it had a small puddle welled up in the center. Expecting the worst I took the first slice out to find that the “puddle” was actually watery sauce and not oil at least. Suprisingly the pizza itself was not wet at all but was crisp and thin crusted. The ingredients all tasted very fresh and tasted nice with hints of basil and fresh tomatoes under a light I mean light layer of mozzarella cheese. 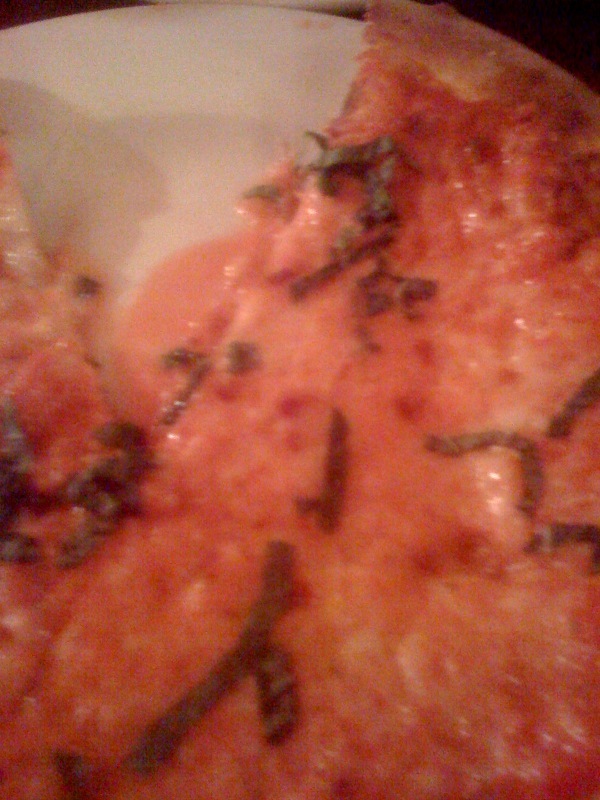 This was not a cheesy pizza at all and if that is what you are looking for you should look elsewhere. 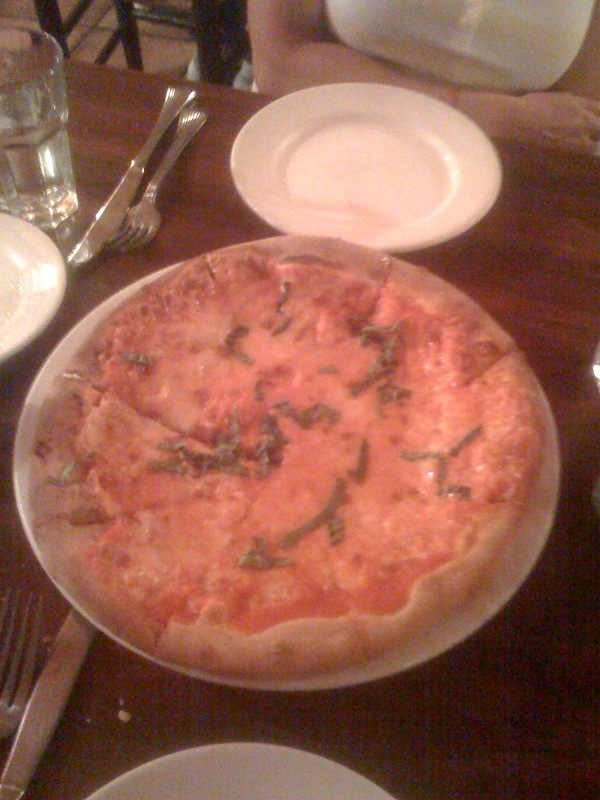 Overall the pizza was very good and would seem to be directed at a health conscious eater more acquainted with Seasons 52 rather than Bostons North End rich in Italian culture. At the end of the day the Pizza is fine if your looking for fresh fare but if your looking for great Pizza in Boston this ain’t it. I would give Antico Forno in Boston 6 out of 8 slices. So I would say ‘fo’ get about I’t and try the place three doors down that smelled awesome which is what I should have done in the first place. Not a loss all together at least I got a fantastic Cannoli and Macaroon at Mikes.